Mr. Young practices primarily in Boylan Code’s Land Use and Municipal Group, but also works with the Real Estate Group and Litigation Group. Mr. Young practices primarily in Boylan Code’s Land Use and Municipal Group, but also works with the Real Estate Group and Litigation Group. He regularly advises on complex land use and municipal issues, often working with public officials and staff, technical consultants such as engineers and real estate developers. 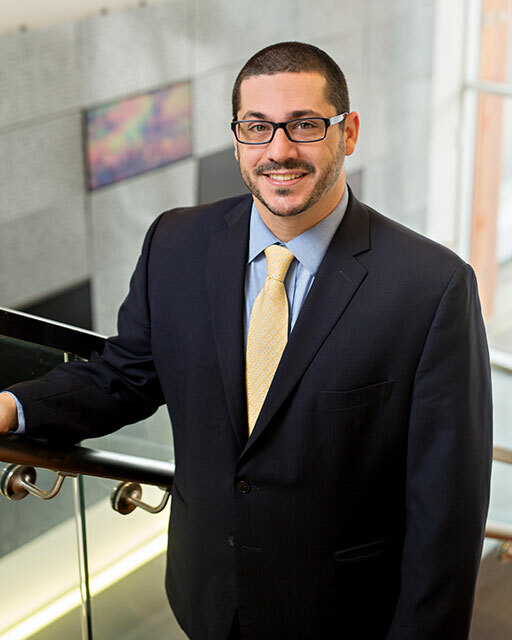 In addition, he has become a popular presenter around the State of New York, regularly sharing his knowledge on land use and municipal law on behalf of the New York Association of Towns and the New York Planning Federation. A list of his speaking engagements is detailed below. Mr. Young has experience in a wide variety of areas dealing with land use, including, for example, advising on SEQR in relation to a variety of complex developments, counseling on rezoning applications and special permits, addressing site plan and subdivision issues, advising on variance issues, and addressing code enforcement matters. Furthermore, he has drafted, revised and implemented a wide range of legislation, including zoning ordinances, refuse regulations, wind turbine regulations, sign regulations and moratoria. Further, he has also implemented and assists with developing and managing sewer, water and drainage districts, including financing and taxation issues relating thereto. Mr. Young represents a variety of municipalities, including the Towns of Henrietta, Arcadia, Walworth and West Bloomfield and advises their Town Boards, Planning Boards and Zoning Boards, as well as their local departments such as Code Enforcement and the Town Clerk’s Office. As general counsel for municipalities, Mr. Young advises public officials in a variety of relevant areas including public finance and capital acquisitions, Open Meetings Law, Freedom of Information Law and ethics. Additionally, Mr. Young represents private developers in a variety matters including acquisition, development, local permitting and environmental review. By way of example, he has successfully represented developers in a range of matters including gaining approval for the construction of 20+ acre solar farms to working with the DEC and local officials to develop a recycling and construction debris transfer station. Finally, Mr. Young writes and maintains the law blog “Zoned In,” where he discusses issues relating to Land Use, Zoning and Municipal Law. New York State Addresses Vacant & Abandoned Properties, published in the “Talk of the Towns” magazine in November of 2016. This article addresses New York legislation which attempts to curb the problems created by foreclosed homes which have been abandoned. Local Municipal Approval of Projects – Crowd Control, published in the “Talk of the Towns” magazine in January of 2014. This article addresses the difficulty in dealing with projects which face strong community opposition. Local Government Representatives – Now Playing on a Screen Near You, published in the Rochester, NY Daily Record in April of 2013. This article examines the use of technology, such as Skype, during open public meetings. The Challenge of an Open Government in an “Always On” World, published in the Rochester, NY Daily Record in August of 2011. In this piece, Mr. Young discusses how technology, such as email and text messages, can raise issues for public officials.